These easy-to-grow annuals almost guarantee an amazingly colorful "show" come summer. Here are tips on how to plant and fertilize the seeds, plus the types of birds and butterflies the flowers will attract. First, decide what flowers to plant in spring that will give you an amazing colorful “show” in summer. The answer is annuals. Annuals are flowering plants that live their entire life cycle in one season (from seed to flower to dying off and creating new seeds). 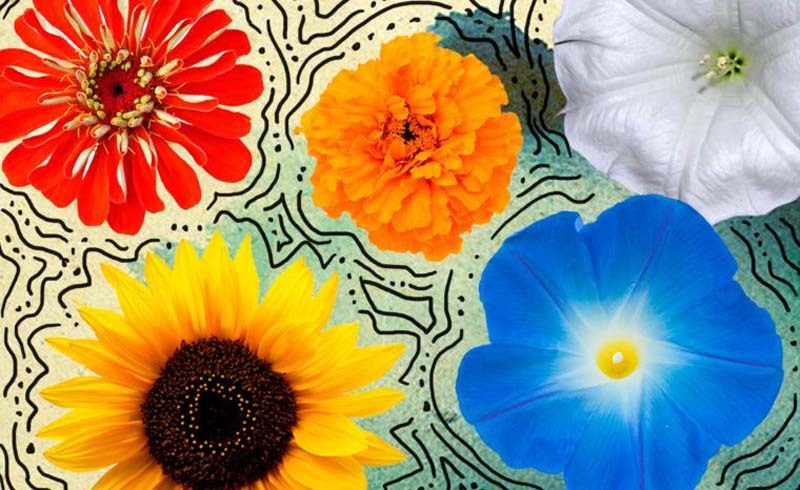 The easiest seeds to sow include marigold, zinnia, sunflower, morning glory, and moonflower, so these spring gardening tips will focus on those five. Then decide where to sow them. Zinnias and marigolds do well in containers, as do the smaller variety of sunflowers. (The huge ones need more space. Morning glory and moonflower can be sown in containers/planting pots but do best when they are transplanted into the ground. This would be a good time to check out these beginner gardening tips, especially the one about creating lighter planting pots. All of these flowers will bloom best in full sun, which means at least six hours of sun a day, including some in the morning. Exposing them to less sun will lead to leggier plants: longer stems and fewer, less robust flowers. Marigolds have a reputation for being the easiest flower to grow from seed. Bursting with orange and yellow carnation-shaped blooms amid fern-like leaves, marigolds also repel insects and so are a great addition to the patio in containers. 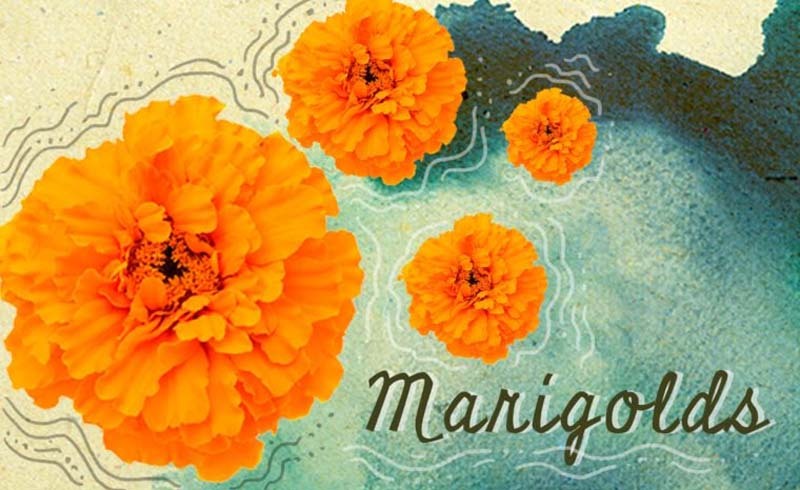 There are many species of marigolds, and you can choose which ones you wish to plant based on size and color, which will be indicated on the seed packet. Most patio-size containers will look best with marigolds that grow no more than 18-inches high. Taller species will look better in flower beds, planted directly in the garden. To get started, dig into the soil about six inches just to loosen it. Then place the seeds right on top of the soil, with a few inches between them. After you’ve placed them, press them lightly into the soil with just a fingertip, brush a bit of soil over the dents you’ve made and then water thoroughly, but without disturbing the seeds. If you’re planning to transplant, wait until the seedlings are at least two inches tall. Your first flowers should appear within a matter of weeks and will last into autumn. Avoid using fertilizer, which inhibits flower-growth in favor of leaf-growth. The most common type of zinnia looks like a dahlia with a dome-shaped bloom of small, brightly colored petals that attract butterflies. Unlike marigolds, zinnias don’t take well to transplantation, so be sure to sow the seeds exactly where you want the flowers located in your garden, based on color and height. Another alternative is to sow the seeds in biodegradable pots, such as tiny peat pots, so that you can plant flower and pot together in the ground. 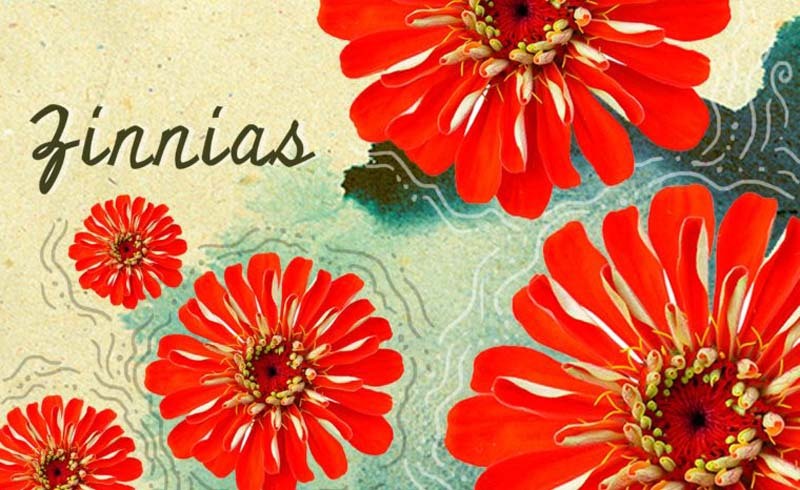 Zinnias should be planted in the same way as marigolds—except that taller varieties should be spaced about a foot apart—and seedlings will appear in roughly the same number of days, so if you plant the seeds on Mother’s Day, your flowers should appear by early July and remain all summer long. For the best result, fertilize zinnias lightly with liquid fertilizer. 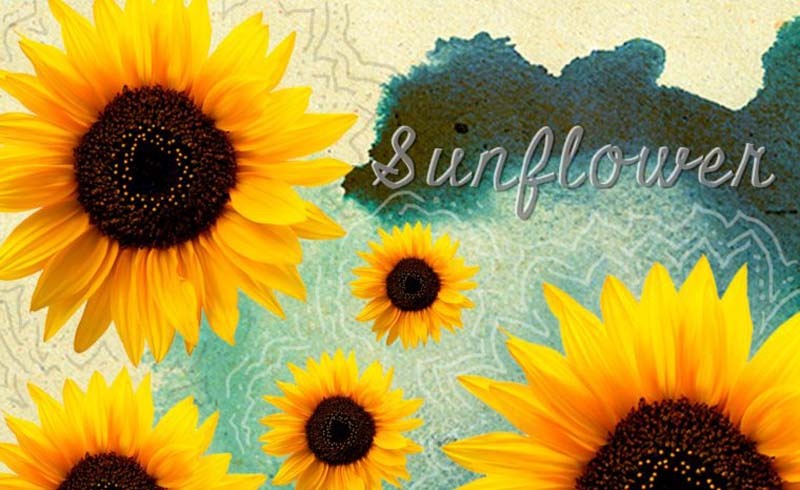 Sunflowers are like the smiley-face emoticons of the garden, with big, daisy-like flowers around flat brown centers, which at the end of the season will become your source for next year’s seeds. They attract bees and birds—so much so that after sowing, you will need to cover the seeds with transparent netting to keep the birds from snacking. 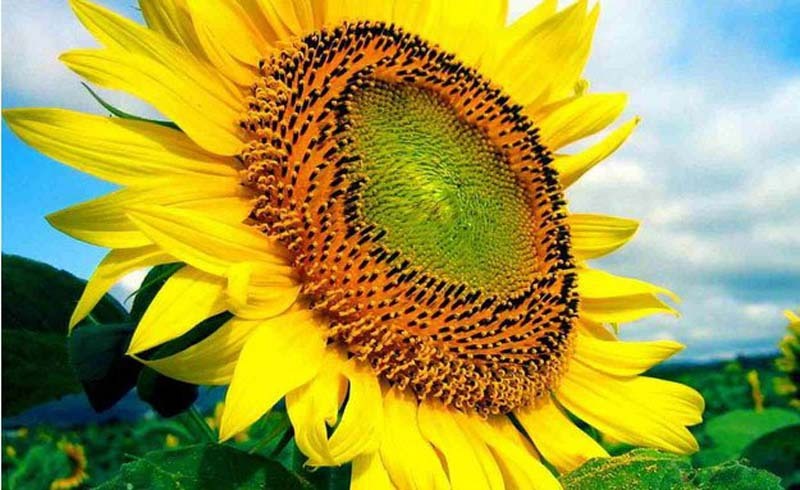 Some sunflowers grow to over 16-feet in height. These should be grown directly in the garden. Smaller varieties have been developed for smaller gardens and containers. Sow these large seeds no more than one inch deep and six inches apart. Add a light application of fertilizer after planting, to keep them from blowing over in the wind as they grow. That’s all the fertilizer they’ll require. Seeds will germinate in two to three weeks, and flowers will open after seven to ten weeks. 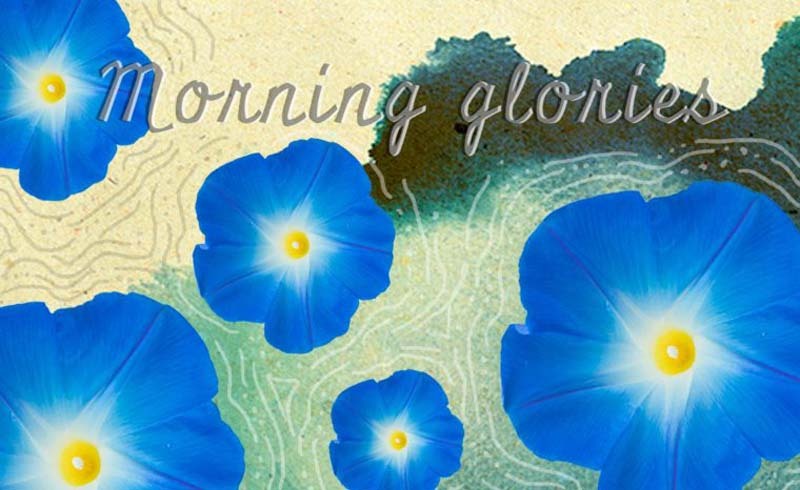 Morning glories are colorful climbers with slender stems, large, heart-shaped leaves, and trumpet-shaped flowers that curl gorgeously into themselves to eventually create seed pods for next year. They come in pink, purple, blue, red, and white and attract butterflies and hummingbirds. Sowing morning glory seeds requires just a bit more preparation; the seeds must be soaked in water for a day or so until you see a tiny white growth emerge. Place each sprouted seed six inches apart and cover lightly with no more than a quarter inch of soil. Water thoroughly, and your seedlings will emerge within a week to ten days, although it may be late July to early August before you’ll see flowers. 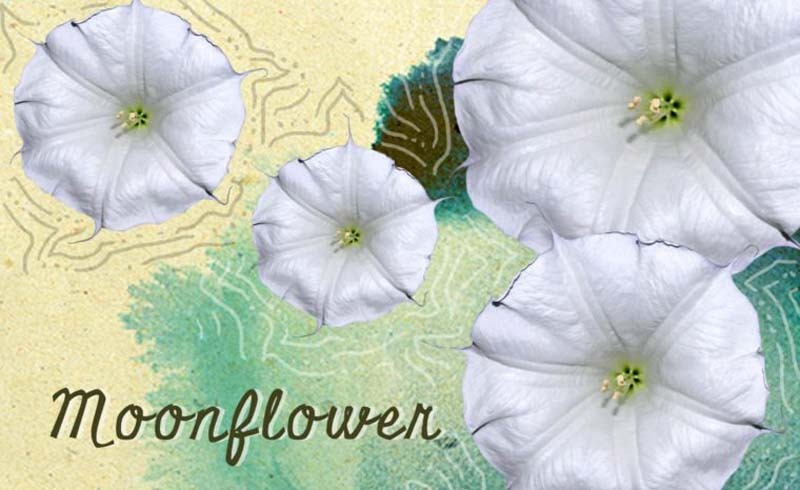 Moonflowers are just like morning glories except that they are always white, bloom in the late afternoon each day, and have a light, lovely fragrance. They should be planted exactly as you would morning glory except that before soaking, nick each seed with a sharp knife because the seed shell is quite a bit harder to penetrate than the morning glory’s. Best of luck! If things don’t go well at first, don’t be too alarmed.